The bay of Bahia Honda on Isla Bastimentos is home to approximately 25 indigenous Ngabe families. There are approximately 40 students as the school with ages ranging from 3 to 13 years old. At the heart of the community is an elementary school, with which La Loma Jungle Lodge has been working for the past ten years. In 2011, La Loma and its non-profit partner organization, Give and Surf, started a pre-school in Bahia Honda. With the help of its volunteers, Give and Surf now also runs an after school club, adult English language classes in the community, and recently opened a small library. Books in Spanish are especially appreciated to build the library’s collection. 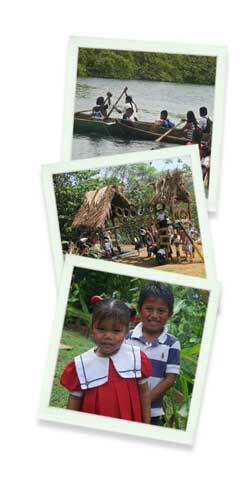 The schools have many needs and have benefited greatly from support provided by La Loma guests and friends.